La nuova Dodge Dart � la prima vettura del gruppo Chrysler realizzata da una piattaforma allungata e allargata del Gruppo Fiat, quella dell�Alfa Romeo Giulietta. La berlina americana del gruppo Fiat-Chrysler si affida a tre motori : il 1.4 turbo MultiAir con 160 CV, il 2.0 litri aspirato da 160 CV ed infine il 2.4 litri aspirato da 184 CV. 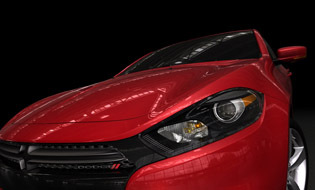 The new Dodge Dart is the first Chrysler Group vehicle built by a lengthened and widened platform of the Fiat Group, the Alfa Romeo Giulietta. 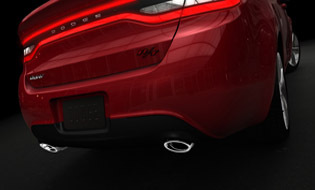 The American sedan of Chrysler Group relies on three engines: the turbocharged 1.4-liter MultiAir with 160 hp, the 2.0-liter naturally aspirated 160 hp and finally the 2.4-liter naturally aspirated 184 CV.